@Icepick I didn't have any issue with my bulk orders. Not even remotely sure how feasible it is but the they are double bagged and the outer bag seems to have some magical property of not transferring scents. When I've ordered tins for example I can smell the snuff when I open the mailbox. Let's see , I m a late 40s guy with a long acquaintance with snuff . 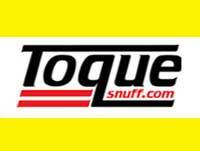 I was introduced to toque back in 2012 but I didn't get to buy your product until I started buying my snuff online a couple of years back . I ve made two or three orders direct through the website . I much prefer to get my Toque direct from the source . I found the service excellent , packing decent and postage charges very reasonable for my UK address . The inexpensive postage is a major plus for me . I can spend a few quid when I m in the mood for a little treat and not get boned by the packing charges :) . So far as ideas goes , I would be happy if you could offer the Coarse Natural in smaller economy bags . A little page of tobacco vaporizing information might be useful and stimulate sales . Also if you could get a plain White snuff contract blended in India for the Toque lineup ,it would sell like hotcakes :) . i think you should start selling empty tins. i always use your 10g tins. maybe you could add an empty 10g tin with all your bulk bags. then you would have one to put your new snuff in. i know you can similar ones from other places like amazon but i would like the convenience of getting them in the same place and with the correct label. Have you considered selling stronger flavour variations of your existing snuffs? I for one always choose SP Extra over Original because the bergamot is stronger, and would definitely do the same if you had a 'Grapefruit Extra' or 'Pomegranate Plus'. The Extra in SP Extra means extra nicotine not extra flavour as its made with Quit instead of the regular tobacco flour. I order bulk from toque a couple times a year. I would like to see a 500 or 600 gram bulk size option. The 400 gram option is great but I would purchase the larger size if it was available. a try pack with all varities! I would add a simple reference to nicotine strength rating for each snuff. I also like the idea of some form of art on the tins...they work really well and I for one have always re-used them once finished. I would also like a tall tins for similar as F&T screw tins for bigger quantities(since F&T are no longer doing them, would also like to copy a similar style art with the gothic letters, with inverted colors to make it more cool, jet black tin with white letters would look really awesome. Ok @bob sounds good. The actual thing I've observed isn't feasible because of magic. 100 year guarantee? Your snuff is good thanks but a lifetime warranty on snuff lol? Only no quibble lifetime guarantee I have come across is on Victorinox knives and La Creusset kitchen ware. wait 100 year guarantee. Every snuff I've bought seems to disappear. I think it might be evaporating into the ether. Is that covered? Sorry had to joke about it. ^ I'm sure it can be done. Will be a custom bulk order tho. I'm confused by " New Line Toque" topic regarding "tin". In the last few years I was under the impression "New Line Toque" was going to be derived from new products of all NEW SNUFF offerings suggested by members. Discontinued remakes by manufacturers that have closed the doors also. Not just a new tin, as everybody's got boatloads of those to re-use. Sorry probably wrong spot for this question but should get attention. Nicmizer, I can answer here, we've had major upheaval caused by the EU "TPD" and have now moved to the Isle of Man. This allows us to expand rather than retract and in the coming couple of years I hope to double our range. I am concerned that our current tin gets dented and damaged easily and the vacuum tins are hardier and cheaper. I am always looking to move forward and new tins/tubs are not the only thing on the horizon. As you rightly said copies of popular and unusual snuffs now discontinued are also being scoped. New tins would be cool though screw top tins tend to stay fresher longer I find. I would love to see you launch a decent line of accessories, maybe a nice pewter snuffbox?I actually voted remain but I think the TPD is the worst of EU over meddling. Thankfully that should not be too much of a bother for much longer though. 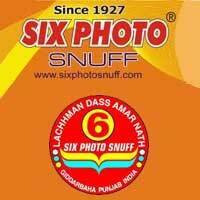 I am surprized that small snuff makers managed to be honest. It is a miracle that Johnny is still around too but he is a gritty sort of chap and has managed to not only survive the legislation but found a reliable source of fresh leaf tobacco. It's good that people are making the effort. @Roderick What about using bulk tubs like Wilson of Sharrow? Tubs are bulky. Tubs cost the manufacturer more initial cost for production. Tubs in general cost more for everyone. Be happy with the bag and decant to glass. That is the best for both seller and buyer when talking about 50g. or more IMO. Poschl makes a Wintergreen snuff but think it is only available in Germany. Although I've seen it available on eBay a while ago. If anybody cares... Wintergreen is not a plant. Wintergreen scent was relatively alien and unknown in European tobacco industry just until recently. It was introduced by Jakobsson's Wintergreen snus (if I recall it right) and followed by Thunder and Oden's. @volunge thanks for the link. Now I know why my dads guns smell like that. oh and like the teaberry picture on the link too. I used to love going out and finding those.